Four different soups, hot dogs, hamburgers and pop will be for sale at the festival. 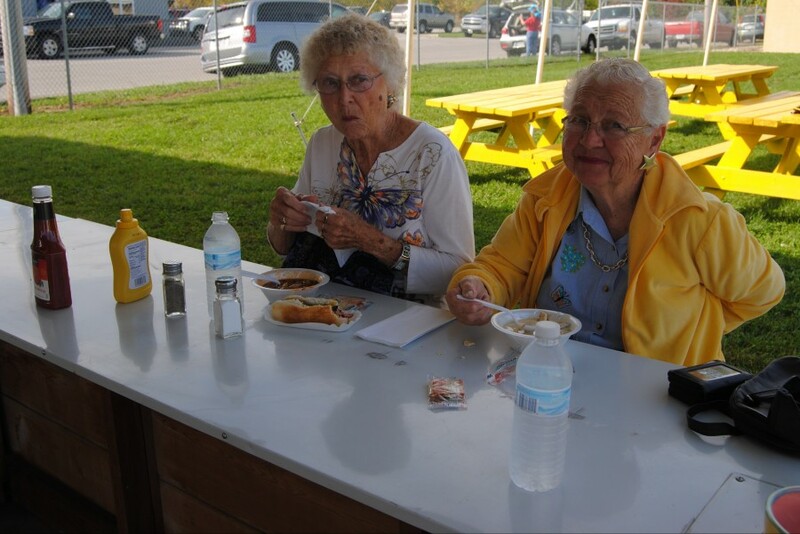 Donna Lambert, left, and Katherine Ogden sample the soup in 2014. Keepsake ceramic soup bowls will also be available to purchase. 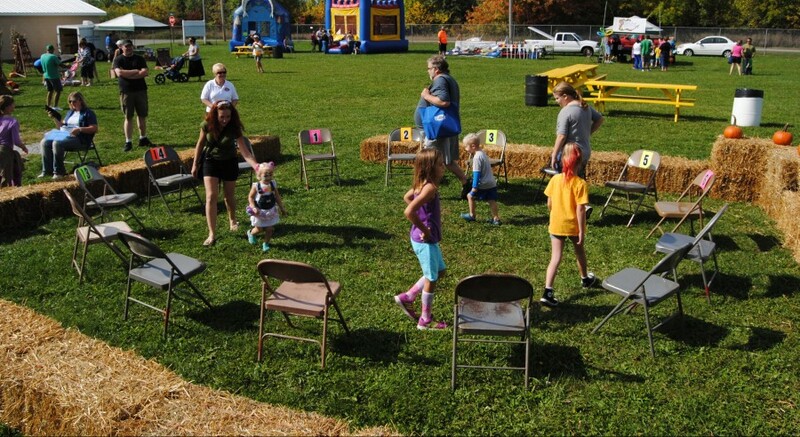 NORTH WEBSTER — North Webster Heart of the Harvest Fall Festival will provide free family friendly entertainment for all ages from 11 a.m. to 4 p.m. Saturday, Sept. 26. It will be held at the Mermaid Festival Grounds, corner of West Washington Street and North Blaine Street, two blocks west of the downtown SR 13 stoplight. It is put on each year by the North Webster-Tippecanoe Township Chamber of Commerce and is a rain or shine event. New this year are almost a dozen inflatable activities for young and old from A-1 For Fun and North Webster Ace Hardware. These include adult and junior obstacle courses, adrenaline rush, laster tag, batter up, bungee run, bounce house and many more. Vendors will sell their wares including fall related items, popcorn and more. The always popular old fashioned cake walk will take place from 11:30 a.m. to 1:30 p.m. with tickets $1 each. Area businesses and organizations have donated more than 40 cakes and other baked goodies to be won in a game similar to musical chairs. Pumpkin decorating will also happen and chamber cookbooks and T-shirts will be for sale. Food items will be available all day long from the chamber stand inside the gates. Four soups donated by Camp Crosley YMCA, The Cake Lady, Sheila’s Sweet Treats and North Webster American Legion Post 253 will be for sale as well as hot dogs, hamburgers and pop. Ceramic soup bowls made by the Wawasee High School ceramic arts classes of Brian Whirledge can be purchased with or without the soup as a keepsake item. Proceeds from the food, ceramic bowls and cake walk go toward the Santa Arrives in North Webster event to be held Saturday, Nov. 21. It will be free for area children and is cosponsored by the chamber and the North Webster Community Center. Sponsors for Heart of the Harvest Fall Festival are The Car Company,The Papers Inc., North Webster Lions Club, MutalBank of North Webster, Maverick Promotions, Amazing Carpet Care, Jeff Moore Roofing, and Bart’s WaterSports. For more information contact North Webster Chamber of Commerce by email [email protected] or call (574) 834-7076 and leave a message. Enjoy the old-fashioned cake walk from 11:30 a.m. to 1:30 p.m. Saturday, Sept. 26, at the North Webster Fall Festival. A dollar admission to the walk is charged.